How To Draw Rocks And Stones I..
One of the most asked questions I receive is “how can I be a better artist?” Unfortunately, there isn’t really a simple answer. There are plenty of roads you can travel to become a better artist. After running this website for a few years, I’ve learned a lot about what it takes to be a good artist—And I would like to share with you a few good ways you can better your skills too. 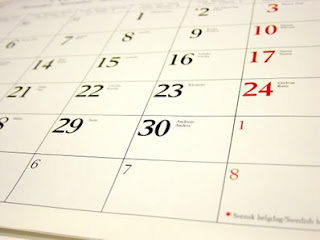 One of the most important pieces of advice I can give is to practice daily. Whether it is drawing, painting, sculpting or anything else, improvement will only come with practice. Life can sometimes make it easy to not have the time for art—but you absolutely have to make it. Just like a body builder could never build muscle without hitting the gym every day, you can’t expect yourself to be great at drawing or painting if you don’t practice as often as possible. The internet is a vast place that can help you learn just about anything you can image—and that includes art. There are millions upon millions of websites that have tons of great info to help you become a better artist, (in fact, you’re on one right now). And they’re all just a Google search away. While you’ll certainly find plenty of great resources by searching for things like “how to draw” or “how to paint”, there’s one online resource that stands out from the rest: YouTube. YouTube is bursting with tons of video tutorials by thousands of great artists. It is a resource that I use here on Draw Central all the time. 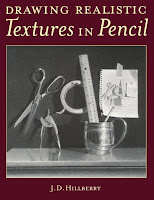 After purchasing this book myself, I would recommend “Drawing Realistic Textures in Pencil” to any aspiring artist. This book provides a truckload of tips and tricks for achieving nearly any effect with a pencil, and has proven itself to me time and time again. 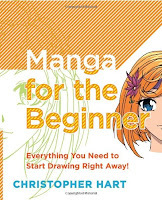 Another reference favorite of mine is “Manga for the Beginner” by Christoper Hart. Christoper has the most easily understandable way of teaching that I’ve ever seen in print. He takes you through the basics of Manga drawing, all the way up to much more advanced techniques. This book is a must for any artist who enjoys drawing cartoons or anime! The Oil Painting Course You’ve Always Wanted is a great reference for beginning and intermediate artists. 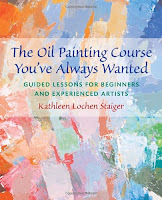 Author and artist Kathleen Staiger takes you through the basics of painting, including brushes, principles of light and a few different techniques. What’s especially great about this book is that it is divided into actual courses, so it’s kind of like having a teacher right by your side helping you through each step. Go through your work and try to pinpoint the weaknesses in your art. Do you find that your lines are messy? Shading isn’t great? Brush strokes could use some work? Be specific. Figuring out where your artistic skills are lacking is key to being able to improve them in the future. Once you see what skills need improvement, practice, practice, practice until you’re happy with what you can produce. Definitely not the cheapest way to become a better artist and it’s not for everyone. However, taking art classes is hands-down the best way to become a better artist. People teaching these classes are almost always extremely talented; and the one-on-one interaction and feedback they provide is priceless. If you have the time and money, sign up for an art class at your local college or art studio. This one’s a no-brainer. If drawing is your thing, make sure you’ve got some good pencils with multiple values, instead of the standard number 2. 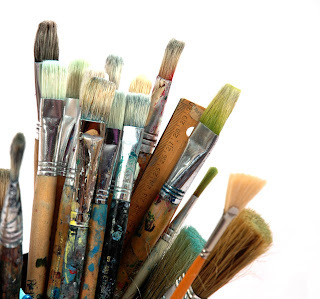 Likewise, if you’re a painter let yourself splurge on some quality brushes—your artwork will thank you for it! Many times people just don’t realize what a difference having the right materials makes. I recommend checking out the list I’ve compiled of some of the best materials for any artist and any budget. As time passes, you’ll no doubt pick up new art skills to be proud of. When this happens—when you have perfected a new skill you’ve been working on—don’t let the feeling of accomplishment halt your progress. As soon as you’ve achieved one artistic goal, like say, perspective, the only way to keep growing is to immediately move on to the next goal. Always moving forward means that you’re not resting on only the things you know and letting your talents get stale. Above all else—keep practicing! I know it isn’t the advice everyone wants to hear, but practice really does make perfect! For a few more helpful tips, check out my Top 10 Drawing Tips.